Lima vulgaris Link, 1807 is a bivalve from the order Limoida, family Limidae. 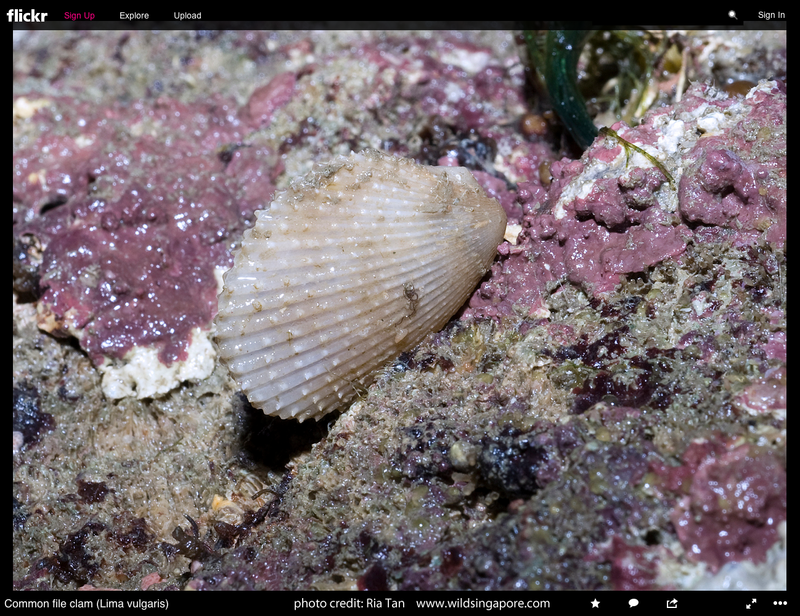 Its common name is File Clam or Spiny File Clam. It is world wide is distribution in tropical waters. Originally our shell was named Lima lima Linnaeaus, 1758 and Philippine dealers used the name Lima lima vulgaris Link. 1807 to differentiate the populations with a pink interior from those with a white interior. Today Lima lima is reserved for Caribbean and Mediterranean shells while Lima vulgaris to those from the Indo-Pacific. 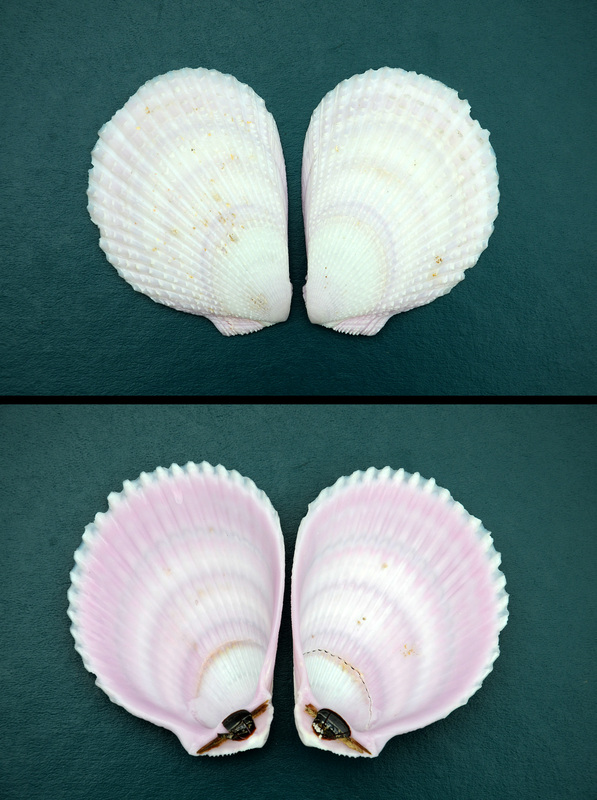 There is no difference in the shells and not all vulgaris have pink interiors. Lima vulgaris is a filter feeder and is capable of free swimming propelling itself by clapping its valves open and shut expelling water. Normally they settle down between rock or reef rubble where they display their long tentatcles. The live animal is very attractive. The top and bottom valve mirror each other and according to the literature the interior color comes from the pigment hemoglobin. This specimen is a giant being over 4 1/2″ (113mm) and is about as large they come. 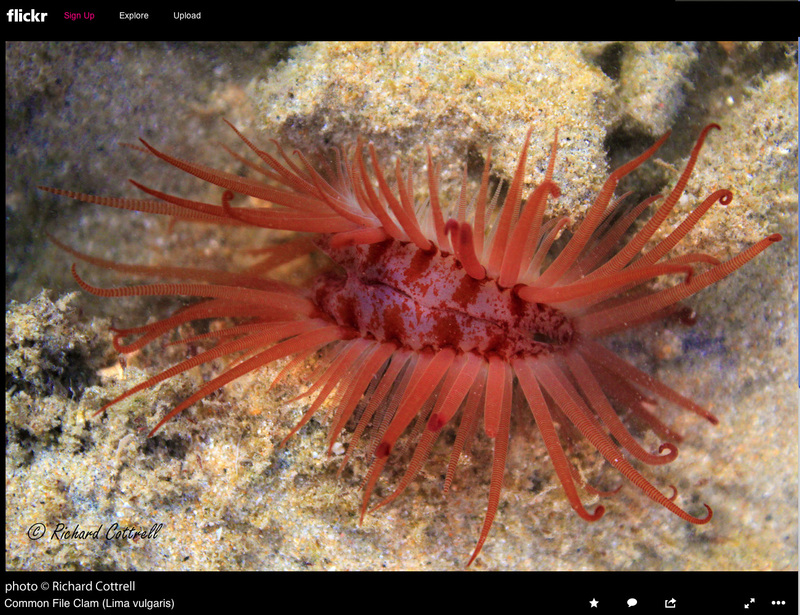 It was collected by Philippine divers nestled in rocks off Dawaho Island, Leyte, Philippines. It was donated by club member Richard Kent from his collection.